Background & Objective: Depression, a risk factor for several serious diseases, is a highly prevalent and life-threatening psychiatric disorder. It can affect the individual’s position in life and reduce the living standards. The research on the use of medicinal plants in treating this disease has increased enormously because of the possible low rehabilitation rate and side effects of available synthetic drugs, such as sexual dysfunction, nausea, fatigue, insomnia, hypersomnia, and weight gain. 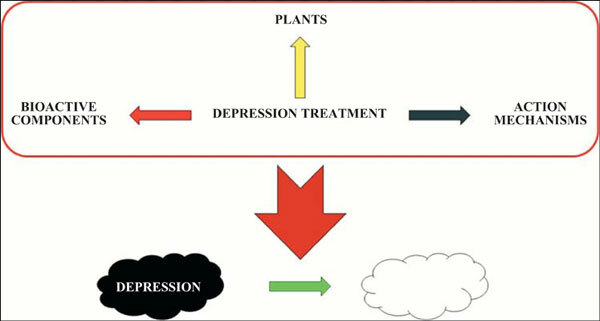 Conclusion: Therefore, this review aimed to draw attention to the antidepressant effects of culinary herbs and traditional medicinal plants and their active components, thereby promoting their use in the development of more potent antidepressants with improved side effect profile. Antidepressant, depression, natural products, plants, rehabilitation rate, culinary herbs.